during Manuela Lucia Tessi (IT/NL) residence from 14 January till 20 February 2018. Music Dance 021 consisted of five weeks of open practice sessions, performances, and movement classes open to the local community of dancers and musicians. 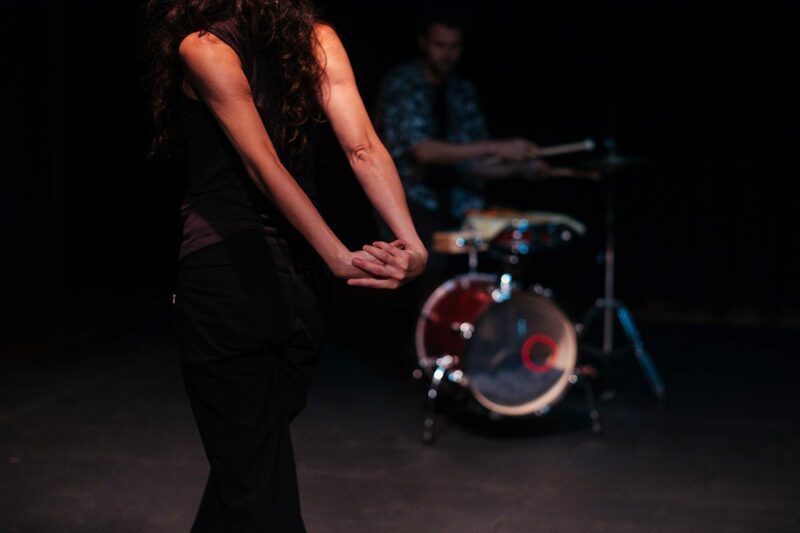 Manuela ‘s current work focuses on real time ( improvised) composed dance and the relationship between movement and live music in performance. Professionals, students, trainees and dancers and musicians of all ages were invited to take part and collaborate in sessions, classes and performances. The schedule of the activities is below. Each event will consist of a series of improvised performance pieces, each with a different constellation of dancers and musicians from the sunday sessions and a lighting designer who will create an improvised light setting. If you have an idea for an improvised piece that you would like to show ( length can vary between 10 and 30 min) involving live music and movement please come to the sunday sessions and let us know. We hope that musicians and dancers will meet new collaborators each session and invite each other to create new improvisation performances together. Before each performance there will be a facilitated rehearsal space for each piece to receive feedback. Please be available to rehearse if you plan to perform.